Posted June 14th, 2011 by Hoffy Cycles. Buying a bike is not always as straightforward as walking in and deciding on the model that first catches your eye. With so many styles and sizes for you to choose from it can take time to find the bike that suits both you and your needs. 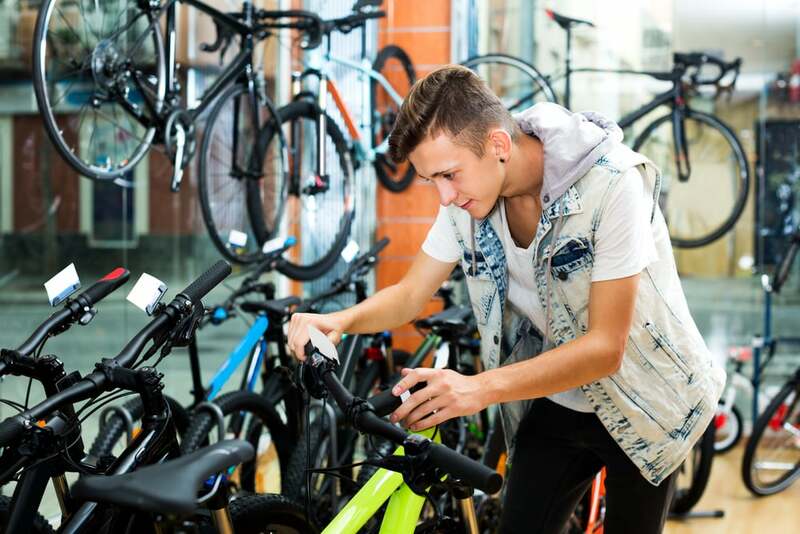 Thankfully here at Hoffy Cycles there is an extensive selection of bikes to choose from and by taking onboard the following tips, you can make buying a bike in Brisbane far easier. There are various types of bike available; from the traditional leisure or social bike through to performance and sports bikes, so being aware of exactly how you require your bike to perform will make the first stage of deciding on type far more straightforward. Sizing is vitally important as if you are on a bike that is too large your safety whilst riding may be put at risk. Being able to touch the floor with the tips of your toes when sitting fully on the seat of your bike is generally a good rule for getting the size right. Purchasing a bike that is specifically designed for your gender will ensure that you are comfortable whilst riding. The top tube of a women’s bike is generally shorter in length compared to a man’s model to make sure full control over the handle bars for both genders is achieved with ease. Most bikes come with interchangeable saddles so, before making a final decision, it is always worthwhile testing a few to see which will be most comfortable for spending hours out riding your new bike. Bikes are available in various designs, styles and colours so take time to consider your options before purchasing a bike that suits your taste and is sure to make an impression when cycling around Brisbane. Cycling is an enjoyable hobby for so many people and by using the tips we at Hoffy Cycles have given, buying a bike from the selection of top of the range models we have to offer is guaranteed to be a much more enjoyable experience. For more advice on buying a bike, contact the experts team at Hoffy Cycles today on (07) 3269 1213.